The countdown has begun to the 12th Byron Bay International Film Festival (BBFF2018). The idyllic surf town’s most glamorous event, the 10-day festival is a highlight of the cinematic year, an essential creative forum for filmmakers, producers, screenwriters, directors, actors – everyone in the industry or with an interest in film. It’s a high-octane nexus of ideas, networking, collaboration, stimulation. With a thousand submissions to select from, programmers place emphasis on content that raises social, cultural and environmental awareness, and look for innovative works that utilise VR technology, immersing the BBFF audience in unseen worlds, to dream with their eyes open. Festival Director J’aimee Skippon-Volke recently returned from the prestigious Cannes International Film Festival, where she curated the acclaimed interactive VR session entitled Australian Immersion at Cannes. She is excited about being able to share the magic that VR technology creates when it is utilised in film. “Technology continues to break the boundaries between reality and imagination and offers us new forms of entertainment that are more immersive, where you feel transported to other realms,” she says. And what can patrons look forward to this year? Festival-goers return year after year to enjoy the inspiration and mind-blowing creativity on offer at BBFF. The 12th Festival is not to be missed. Mark your diaries now: 12 -21 October! 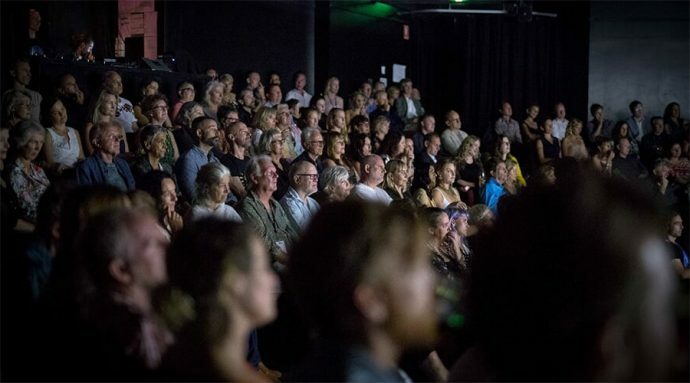 For programming and ticketing information, workshops, trailers and all the latest BBFF2018 news, visit www.bbff.com.au or find the festival on Facebook.